I used Everlasting, Escape and Yesteryear. This paint is phenomenal, and can be found at The Home Depot! It goes on so silky smooth, but dries in a matte finish. 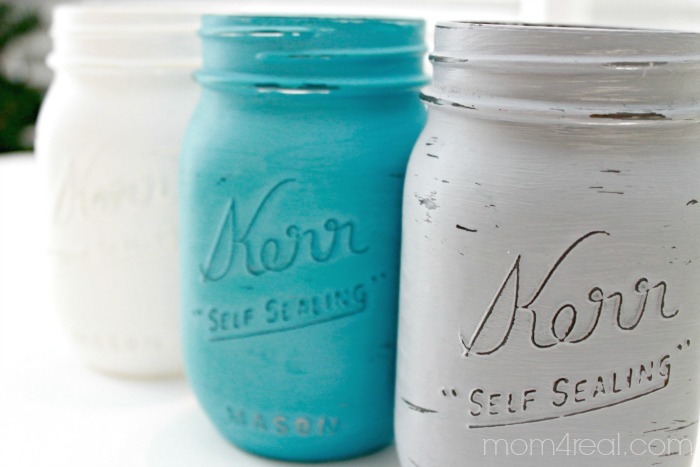 I painted two coats on each jar, then used a clear wax on them for protection, and to really bring out the color. 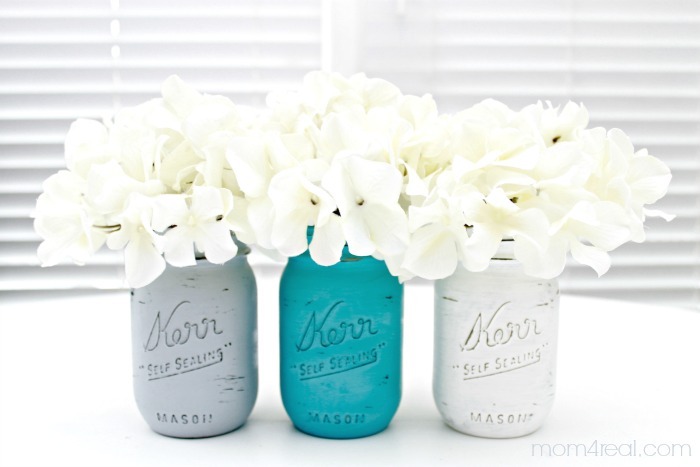 Do you love decorating with Mason Jars? What a cute idea! I have some black chalk board paint I need to use. 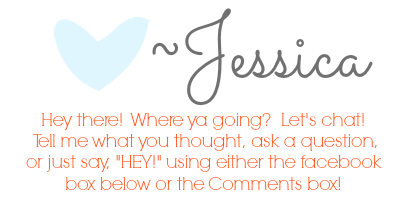 I think I’ll give this a try! Just used this paint today Jessica and I LOVE it! These mason jars are adorbs! I love the color of these. So pretty!! 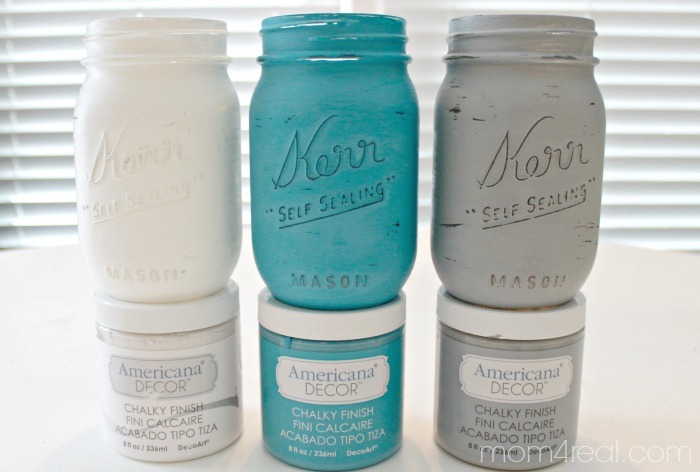 They are so cute in this chalky paint finish – pinning them. Thanks for sharing! How did you get the distressed letters? They look black. I love this idea, can’t wait to incorporate them into a baby shower I’m hosting! Hi, Alicia! I just sanded over the letters after painting to get the distressed look…super easy! I’m so glad you can use the idea!! Have a fabulous day! These look fabulous, my friend! A great holiday gift idea too! Thank you so much for sharing at our mason jar holiday party!!! Hi, Janet! I did dust them with a light sandpaper. I used the creme wax that is in the same paint line as the paint I used from Home Depot. It is only available online, but you could totally use minwax. Hope this helps! love this idea! how long did you wait between coats or before applying the wax? thank you! 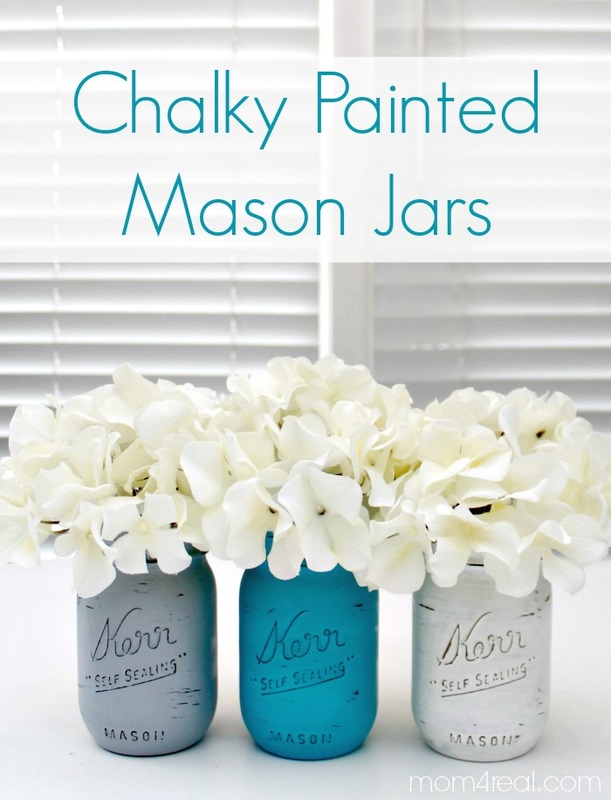 Did the paint go on the outside or inside of the jar? Thanks so much!! These are just pint jars, but you could use any size or brand that you prefer. You said you put clear wax, at end, what is that wax and where do I find?